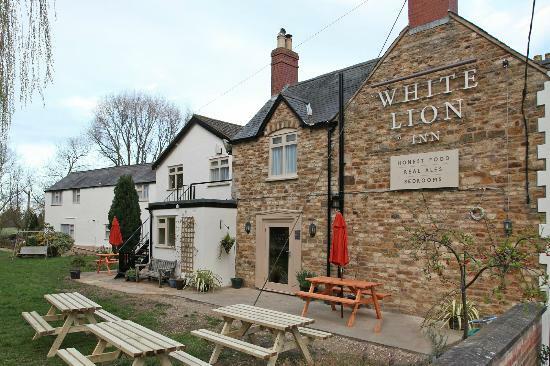 Located in the heart of the village next to a stream, the 8-bedroom White Lion Inn was refurbished in 2014 and was awarded a Tripadvisor 2014 Certificate of Excellence and the Rutland CAMRA Pub of The Season for Summer 2014. Welcoming families and dogs, it boasts a bar, restaurant and function room. The inn has a garden, pétanque court and tables for outside dining as well as a large car park and secure storage facilities for bikes and fishing equipment. The inn has 8 en-suite bedrooms, all refurbished in April 2013. Each room boasts a colour TV, refreshments, Wi-Fi and includes a full English breakfast. Pets and children are welcome, and cot facilities can be supplied by request. Check-in is from 14.00 and check out is 11am. The inn can look after any luggage or equipment either on your day of arrival or departure. To check the latest rates and availability, please visit the White Lion Inn website. Surrounded by farmland & rolling countryside, Greendale Farm Park is a quiet adult-only non-smoking camping and caravan site — and a member of Tranquil Touring Parks — with 13 pitches. The site is geared to those wanting a calm and relaxing stay in garden surroundings, with fantastic facilities including an outdoors swimming pool. Conservation and sustainability is at the heart of the Greendale ethos and the site won a David Bellamy Gold Conservation Award Site and was shortlisted for an England in Excellence [Regional] Sustainable Tourism Award. For current prices and availability, please visit the Greendale Farm Park website.